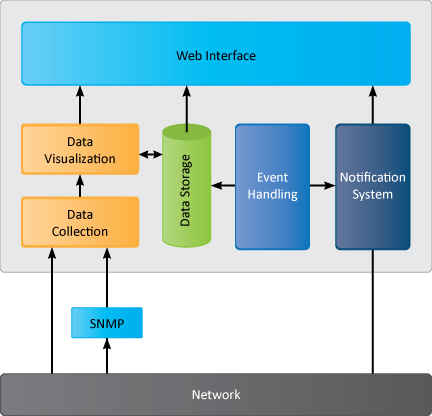 NetShack is a Linux based NMS server that performs data collection, storage, visualization, notification management along with event and alarm handling. It is a streamlined and unified suite of network management system to monitor thousands of devices in a single instance. NetShack is a collection of independent daemons, can be implemented using enterprise Java and stores configuration details in XML format. The network management software offers an integrated, customizable and cost effective approach that is distinctive and radical. It provides state-of-the-art network topology information and performs day-to-day tasks such as troubleshooting, monitoring, configuration management & more.